Educators, Sales Professionals, Trainers, Project Mangers, and Customer Support teams in medium to large sized businesses. VidGrid is Videos Most Interactive Platform. Going beyond recording, hosting, and sharing; Vidgrid transforms video into a two-way conversation by empowering anyone to capture knowledge, converse with the audience, and control the flow of information. Worldwide leaders such as Fox, Mortensen, G2 Crowd, Paylocity, Duke University, and the University of Nebraska leverage VidGrid to communicate and collaborate across sales, customer success, training and education. ilos is the video platform you have been waiting for. Pros: ilos is so simple. In a few minutes You will be uploading video, recording original content, and sharing it with whomever You wish. They have taken the time to make simple to follow, and thorough video tutorials to explain every aspect of their product. If You can't find what You are looking for, their customer service is astonishingly responsive and courteous. You will get services and features that You will pay quite a bit more for on other platforms. It's just an excellent product that has stepped up our video game. Cons: I'd like to be able to assign a video to a non-entity user like a Department or Division instead of a person to help with continuity in the case of turnover or personnel changes. They have recently introduced institutional size limits, which I was not thrilled about, but I do understand the need for it. Still, unlimited uploads is certainly more appealing. Overall: I work at a College, and we need simple video that just works for all our users from the top down. ilos has provided us that and integrated with our LMS to make the adjustment from another service as easy as possible. They have closely worked with us in every step to help our users be comfortable and learn ilos and be up and going quickly and without issues. I suggest ilos to everyone i can. I love it. Pros: VidGrid is an to online video tool to use for training and educating purposes. As an educator I use it to create online video lectures and tutorials. It makes it easy to create a high-quality video. Mitch. Is also very intuitive and easy to learn. 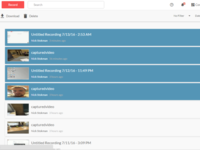 In addition, this software makes it easy to track who is viewing your videos and how much of their of your videos they are viewing as well as it makes it easy to share and embed the videos. 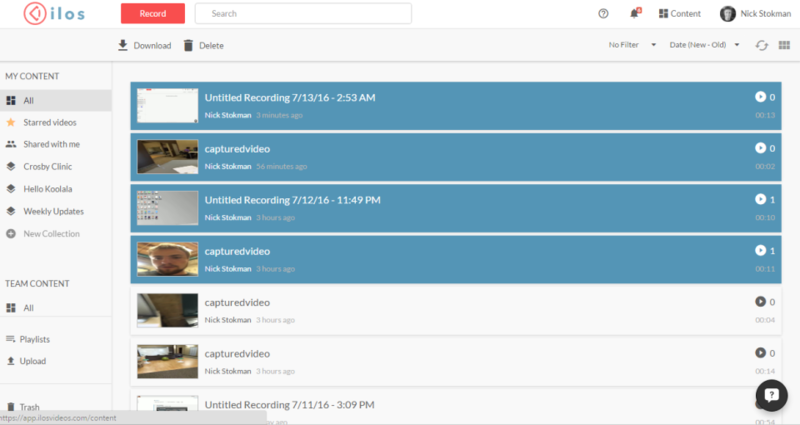 VidGrid integrates seamlessly with many Learning Management Systems. Cons: There have been times where the software is a little slow or lags. But I have found that they resolve issues quickly and their customer support is absolutely amazing. 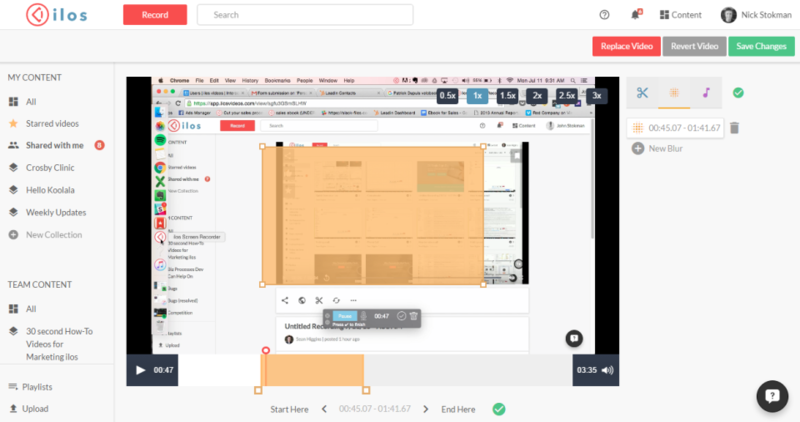 Overall: Overall, VidGrid has been an awesome software to use to enhance the courses that I teach and to create online courses. It helps me how old students accountable to the material they should be learning. It is extremely easy to use and I have often used it to make tutorials for my co-workers teach them how to use various software that we use in our office. Anytime I have contacted customer support I have found them to be extremely punctual and helpful which makes my job a lot easier. 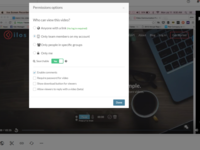 Pros: I like that we can screen record, host videos, caption, add questions/quizzes, edit video, and other features all within one website/product. Cons: There are currently lots of glitches with the machine captioning. Ilos set the bar really high for themselves the first year we used them, and adding this feature was not an improvement. If we had not had such a great experience the first year, we might not be patient enough to give them time to work this out. I'm afraid new customers may not be so patient. And it depends on how quickly they get this problem fixed whether we will continue a third year. Overall: Our faculty love ilos (when the captioning works) for all of the reasons stated in the first question above. We are using ilos for flipping the classroom. Pros: VidGrid has done a great job targeting the internet savvy video virgin. The recorder and website do a great job walking you from feeling intimidated to finishing your first video. Cons: Being a larger, slower moving company with many change-averse users, some updates (including the rebranding) caught us more by surprise than we like. It would be nice to allow opting in for updates rather than finding out after a feature/bug is live that users should expect a change. 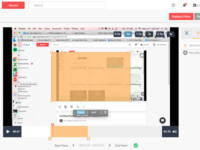 Overall: VidGrid is used for faculty to create instructional content and have it captioned for sharing within our LMS. Staff generally use it for intranet instructional screen recordings, and students use it to either create a video or simply submit into the LMS. Pros: I found that Ilos to be very easy to use. I simply log into my canvas learning system account and click on ilos and record. I use it to record my face to face graduate courses each week and this gives students a chance to review the lectures. I also use it for online learning at the beginning of the semester to greet my students so that they see my face and become comfortable contacting me. I also record video lectures and podcasts (by recording my voice with a pretty picture but, not me) I found this very helpful as well. Cons: I'm not sure it has to do with the software but, the sound quality is not strong. Pros: My institution purchased iLos about two years ago. In the past, we have used Wimba and Panopto. iLos is by far superior to both of those options. From downloading the recorder to organizing and recording videos, iLos is extremely user friendly. I recommend other instructors at my institution to get on board as well! Customer service is exceptional. The live chat option is amazing. And once the rep had to take over my computer to solve a problem, and everything was worked out quickly. Cons: My least favorite aspect is the editor. Editing was easier in Panopto because you had the option of slowing down the recording in order to get more precise cuts in the video. With iLos, it is more of a listening, rewinding, guessing, and playback in order to cut portions of a video. A bit more time consuming than Panopto. Pros: The program is very fast for a online program. It is very easy to do basic functions within the program itself - recording, saving, and uploading. I really like the new addition of questions in the middle of the videos and the ability to add comments. The easy interface to Moodle is also excellent. I have also created videos on my phone to show students how to install software on the phone. Cons: I do like to use special effects, like zooms and speeding up the recording. I also like to splice several videos together - I have found that the basics are handled well with Ilos, but if I want to add effects, I need to pull up another program. I am not sure about this - it seems that there is a small downloaded extension to my browser (I did not need administrative rights which is good) so I don't know if it would work on a Chromebook. Overall: I have created a number of How To videos using Ilos (including instructions for programs on a phone.) Screencasts are very easy to complete. Pros: I came to ilos after working with youtube video and skype for business video and several other mediums, integrating these with Blackboard. 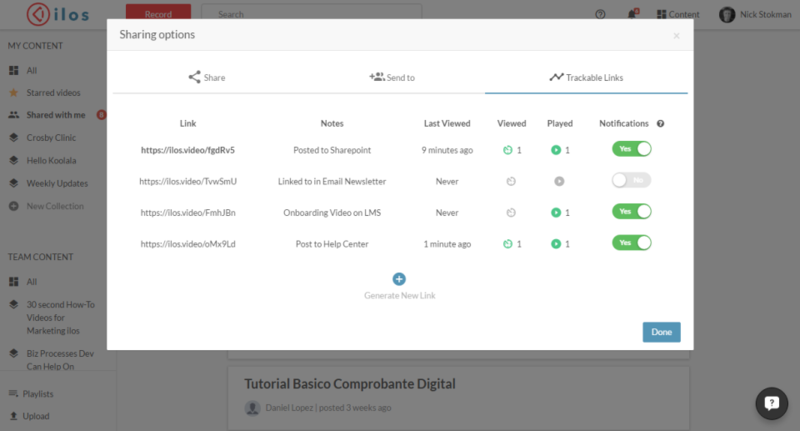 With the launch of Canvas at my university, I decided there had to be an easier more efficient way to both affect the integration seamlessly into the chosen CMS, as well as to offload the material for review and external purposes, neither of which easy or intuitive with those other mediums. I find ilos well suited for the purpose and very effective as well as much faster than some of the other mediums. In fact, I wish ilos was chosen to replace Canvas own conferencing mechanisms which leave a lot to be desired. Cons: The biggest challenge is making sure the add on program is downloaded and installed properly in your particular Windows installation which could be a challenge of the new windows 10 software rather than ilos itself. There is also the possibility of conflicts with a myriad of other desktop programs that handle a/v or seek to exclusively. Pros: VidGrid is where our institution hosts all video content for our online courses. Not only is VidGrid a video hosting platform, with easy integration into Blackboard Learn, it is also helping us tackle our ADA compliance issues concerning video closed captioning. In-video quizzes are easily added and fully integrated with the LMS gradebook. Great service overall. Cons: Some of our more specialized programs will often receive errors in the closed captioning due to the complex nature of the vocabulary. Certain medical and technical terms are often misunderstood by the machine captioning option. VidGrid has a manual edit option which enables us to correct the issues ourselves, as well as a FANTASTIC customer service department which is always willing to help out. Pros: The Pro captioning service is great. We also like the hosting. Cons: The machine captioning service is less accurate than other services, even YouTube. Overall: We use the captioning service as well as video hosting. Pros: I love the easy of use of the recorder. It's simple, light weight and doesn't require admin rights to my PC to install. Cons: I would love to be able to use the editing features directly within the recorder. It takes a long time after recording for the video to become available for trimming, blurring and adding questions. Overall: I've used ilos for many things in my day-to-day. I use it for product demos, bug recreation recording and instructional videos. I am in the process of integrating Ilos into my LMS system to create microlearing training videos. 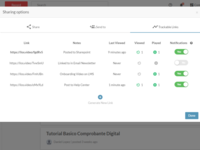 Overall: In order to add engagement, collaboration, and interactivity to our F2F, blended, and online courses, we needed a cleanly designed, easy to use video platform solution. ilos has been instrumental in adding collaboration and increasing accessibility on our campus. I would highly recommend any institution to add ilos to their technology tool kit. Pros: We are currently doing a pilot program with ilos (new name is VidGrid) and I've been pleased with it so far. 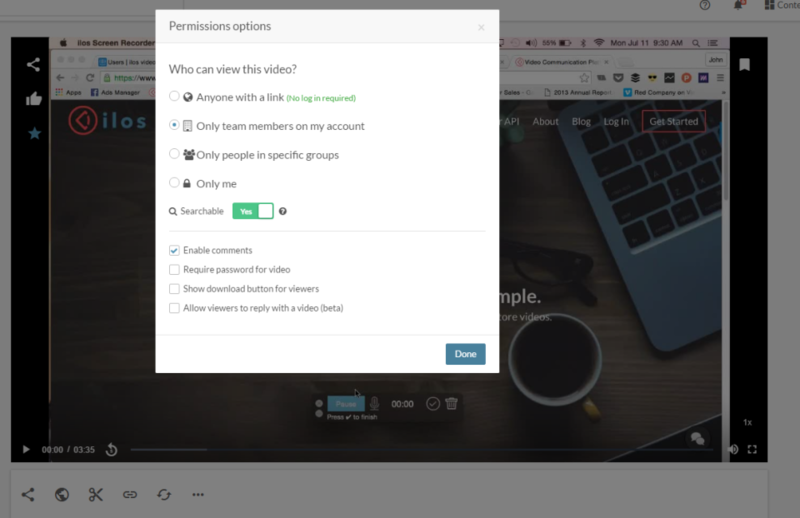 It makes creating screen capture videos easy and also allows for adding closed captions to the videos to meet ADA requirements. Cons: Editing of closed captions (machine created) could be easier. Youtube does a nice job with having a video player along side where you can type or fix captions, so hopefully ilos will get better with being able to edit closed captions. Overall: I've been very pleased with ilos so far! Pros: The Ilos interface is simple, well designed, and easy to learn. It's most basic features are intuitive, with the advanced features being easy enough to master. Cons: I would like the ability to strip audio from video, and keep an audio bank. It's a specific request, but I use Ilos for customer support and inside sales, and that feature would be helpful. Overall: Ilos has helped us with script and process fidelity. We are easily able to increase the speed of mastery for all employees. This product has greatly improved our new-hire onboarding experience. Pros: ILOS offers a fantastic, easy to use solution to our recorded voice or video messaging needs for online or classroom classes. It load quickly, streams smoothly, and is easily adaptable for faculty or student use. Cons: I honestly cant think of any at this time. ILOS really is an excellent product. Overall: Please see the above responses. Easiest way I have ever found to make videos! Comments: I have loved using Ilos so far, and it's honestly not because I'm new to video and struggle with more complicated applications. I have used multiple video capture methods over the years and I still love Ilos. The main reason I'm such a fan is how easy it is to create videos, host them online, and manage the library all in the same place. I make training videos, so I'm not looking to win Oscars. My biggest challenges are projected turn-around time, making changes to projects when needed, and online delivery. Ilos has made all of these SO easy! In my industry, things change constantly and the ability to make a change to a video, replace it in Ilos, and have it automatically update everywhere I have used that link online is so helpful. The editing tools are limited, but that's the idea. It's supposed to be easy, so don't expect to be able to do a ton with the editing tools. Cons: It could use a few more editing features. Overall: Although I only use it once a week or so, I am using it for certifications for our sales force and it is driving productivity in the field for some of our harder to sell products. Cons: Nothing. I really think this software is great for what I need it to do. Overall: I use Ilos as a teaching device during school. I love that I can screen capture and show students where to find things online. Pros: I loved the ease of operation. Having used cumbersome systems, I found Ilos very easy to use and so did my students. Cons: I had no problems with Ilos at all. There's nothing I did not like. Pros: Ease of recording, uploading, and simplicity of use. Great for guest recording as well. Cons: The editing features are limited so best to use it for managing videos. Basic editing is fine. Pros: I loved being able to make videos interactive by adding questions and being able to link that data to my grade book in Blackboard. I also like their captioning services--fast, accurate, and all done by real people. Cons: The new interactive features are in the beta stage. I have input many questions and there are weird formatting errors once the questions are finalized. Also, I hate that you can't edit question sets. You pretty much have to start over if you make any errors or want to change questions in the future. Overall: I love what they do and what they are trying to do. I think once they get the bugs worked out in the new features which are all in beta phase, this will be a powerful video program that instructors will love. Pros: It is very easy to use, and is very useful! Cons: I wish the app would allow for screen recording. It would be nice for taking training videos on how to use smart phone and tablet apps. iPhone has something that makes this possible, but it would be cool to be able to do it strait from the app. Overall: I really do love it. This has become a very valuable tool for our company. Comments: We have used ilos for a few months now. We have found the system to be extremely useful and beneficial to our needs. I would not hesitate in recommending ilos. The team at ilos are proactive in their approach to supporting our needs and have been exemplary from the get go! Comments: We have recently entered into a partnership with Ilos and have been blown away by their product, customer service and response time. We have been very pleased and would strongly recommend the platform and team to anyone looking for a simple, easy way to share knowledge. Cons: Would be nice to have a more robust app to use instead of saving the site, but it works. Overall: Great way to get content from our employees to share. Allows a better exchange of information, especially technical information, to solve problems. Cons: Saving edits is a little slow (but it is really easy to make edits). Overall: Ilos is easy to use (really, really easy), has a really good set of features that are easy to use, and it's great with Lessonly! Pros: The video editing feature. It is extremely easy to use it. Overall: Its a great tool. Very intuitive and easy to use, edit, share and do much more. Cons: There were few options to edit the video, although the video editing process was very efficient. I would of liked there to be different types of texts. Overall: I used ILOS for a school project, I got an 85 on the project and was very content with the grading and the use of ILOS In getting that grade.